Apple’s quarterly record sales of the iPhone have smashed the highest Wall Street expectations, giving the company the largest profit in corporate history, $18 billion in the quarter to December last year. Revenue grew 29.5% year-on-year to $74.6 billion, which surpassed Wall Street’s most optimistic expectations, of $67.5 billion. Apple ended the quarter with $178 billion in cash, well enough to buy about 480 of the S&P 500 companies outright, CNBC reports. The US tech giant beat the previous record-holder ExxonMobil that posted nearly $16 billion in quarterly profit in 2012. Overall, Apple sold above 1 billion iPhones, iPads and iPods running its iOS operating system that launched in 2007. It sold 74.5 million iPhones in 3 months to December, a 46 percent increase on the previous year. “Demand for iPhone was staggering. This volume is hard to comprehend”, Apple CEO Tim Cook told analysts. Meanwhile, iPads are losing their popularity. 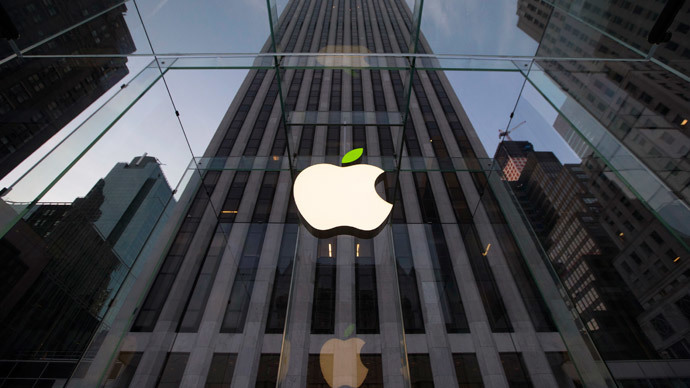 Apple sold 21.4 million devices in the last quarter of 2014, less than expected. The company’s shares rose about 5 percent in after-hours trading. iPhone sales were boosted by the introduction of the latest iPhone models in September 2014. Japan, Korea and China showed high demand for the iPhone 6 and iPhone 6 Plus. Sales were led by China, up 70% on a year ago. However, the iPhone’s biggest market remained the U.S.
Apple expects revenue between $52-55 billion in the current quarter. The company is preparing to release the Apple Watch, the first truly new product line since the death of Steve Jobs. The smart watch is expected to go on sale in April.